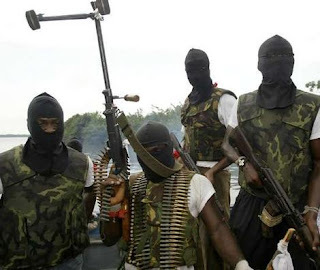 A group of ex-militants under the aegis of Ekpeye Liberation Group, on Friday, handed a 14-day ultimatum to multinational oil companies in Ahoada East and West local government areas to move out of the area or risk attack on their facilities. Spokesman of the ex-militants, Mr Obodo Obodo in a statement in Port Harcourt alleged that most oil companies doing business in the area had failed to sign any memorandum of understanding with communities. The group said it had already blown up one oil well allegedly belonging to Agip in Ahoada West local government area, and threatened to carry out more attacks on oil facilities in the area if the oil companies fail to leave the area. “Incase you may want to take this demand for withdrawal from Ekpeyeland lightly , we have already blown up Well 5 in Akara Olu, Ahoada West local government area. It is owned by Agip. Other more terrible actions await non compliance with this directive “, the group said.